Have a question that isn't listed below, feel free to contact us. Q; Is there a set Itinerary? Yes, we have a set route our tour takes, however if you would wish to book a private or bespoke tour we can customise the tour according to your needs. Q; Is the tour suitable for those with mobility Issues? Each bar we visit is accessible by those with mobility issues, although we walk between bars the distance is relatively short But please contact us in advance so we can discuss your needs. Q; Is there an age restriction? Your Guide may ask for proof of age to ensure that this is the case. Q; What is the Duration of the Tour? The tour begins at 7:00pm and concludes at 11:00pm, after which you are free to stay in the Live Music Venue and enjoy the rest of your night. Please arrive 15 minutes before the tour starts. Q; Is the tour Guaranteed to go ahead? The Minimum we will conduct a tour with is 2 persons. The likelihood of a tour being cancelled is slim, but if this occasion arises you will be refunded or happily rescheduled for a future tour. Q; How can I book a place on the tour? Q; Do you operate in any other cities? Q; What are your typical customers like? 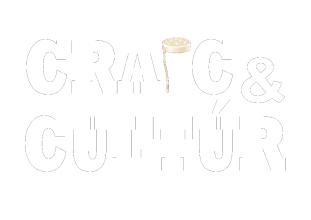 The customers that take part in our tour are those that wish to gain a authentic Irish Bar cultural experience from various backgrounds and cultures. Q; Is there food offered while on the Tour? We do enjoy some Traditional Irish Stew to start the tour, after this there is no other food provided while on the tour, although the starting point serves food, perfect for dinner before the tour begins. Alternatively the bars on route serve bar snacks that you may purchase while we are there. You guide will be happy to advise on places to grab a quick night bite after the Tour. Q; What is included in the tour? Complimentary Irish drink in each bar. Maximum of 12 people per Tour. Q; How much per person per tour? The ticket price is €40 euro per person. Q; What if I have booked but may arrive late? Unfortunately, if you have not pre-booked your ticket we cannot accommodate any late comers. Q; What if I don't drink can I still take part? Yes, you can still join the tour and experience the Irish Bar Culture. Q; Can I take photos or videos while on the tour? Yes you can take photos and videos while on the tour, although we recommend that you ask permission if filming or snapping anyone outside of your personal party as not to infringe on anyone's privacy. Please feel free to contact us here for more information.